A 3D , digital illustration of healthy lungs, against a bright blue sky. 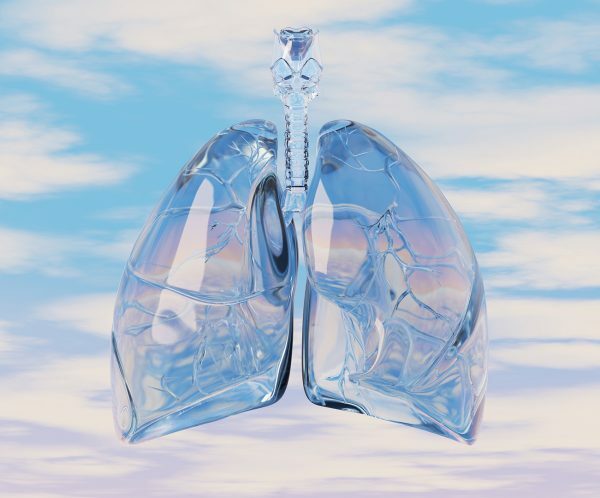 The lungs are a pair of spongy, air-filled organs located on either side of the chest (thorax). The trachea (windpipe) conducts inhaled air into the lungs through its tubular branches, called bronchi. The lungs are the primary organs of respiration in humans .